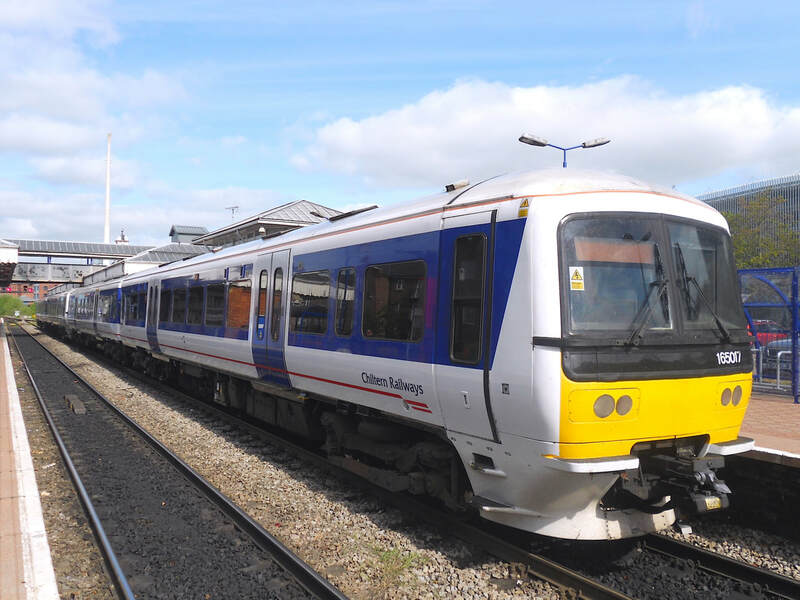 This unit usually works Aylesbury - Princes Risborough Peak Hour shuttles during the Monday to Friday working week. Class 121 No. 121020 at Aylesbury . (c) Peter Skuce. Class 121 No. 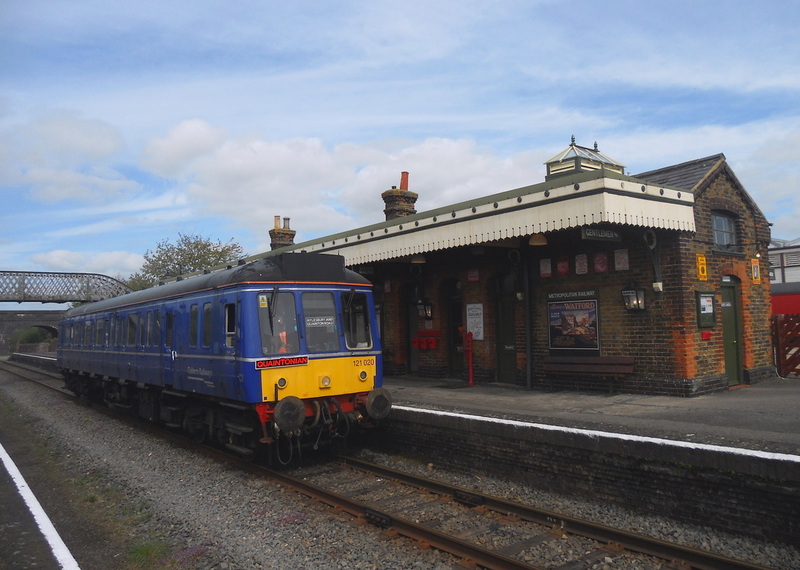 121020 at Quainton Road. (c) Peter Skuce. 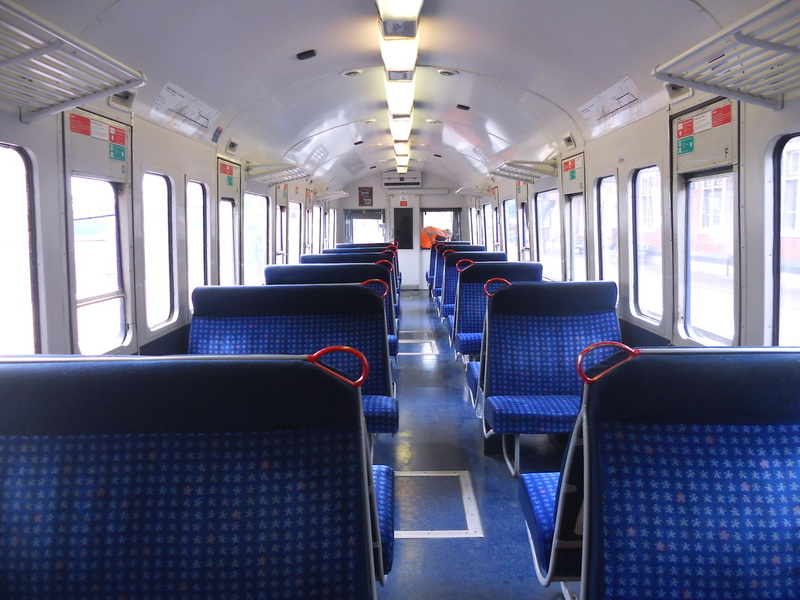 The refurbished interior of Class 121 No. 121020. (c) Peter Skuce. 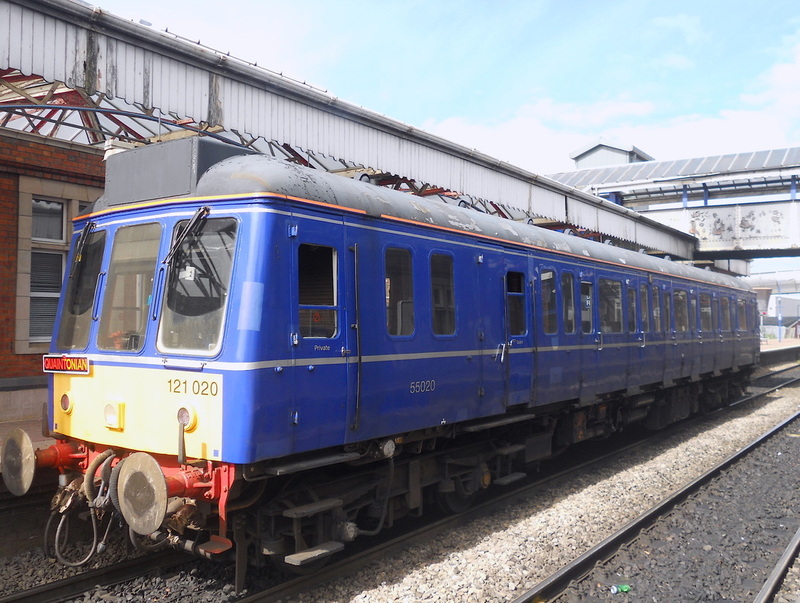 The refurbishment work took place at Railcare Wolverton Works. 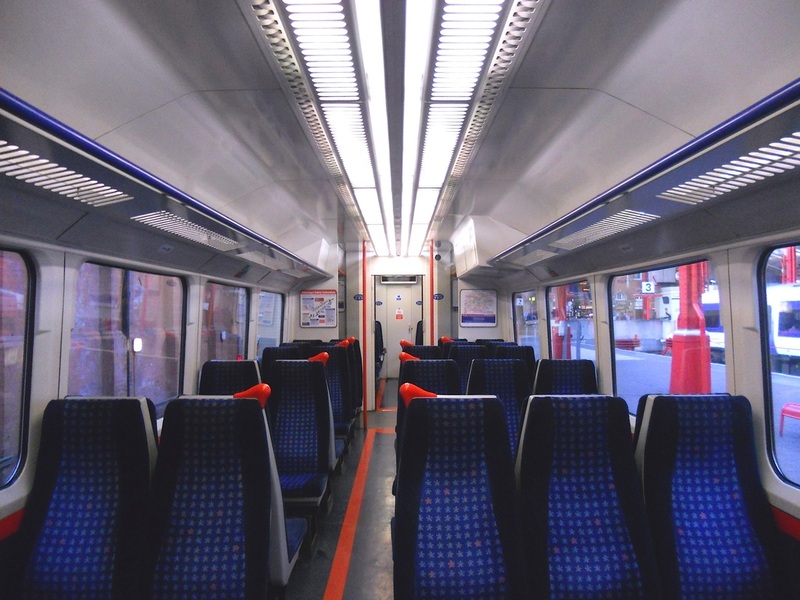 Refurbished Class 165/0 No. 165007 at London Marylebone. (c) Peter Skuce. 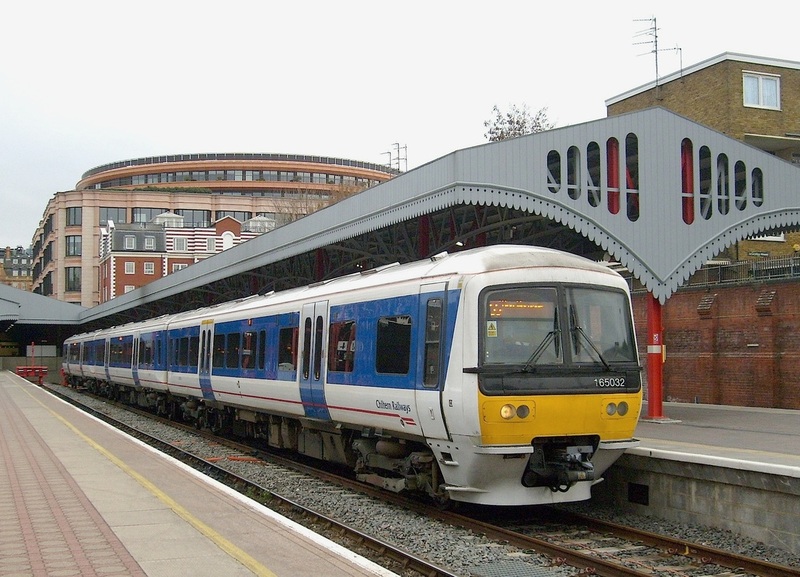 Refurbished Class 165/0 No. 165024 at London Marylebone. (c) Peter Skuce. 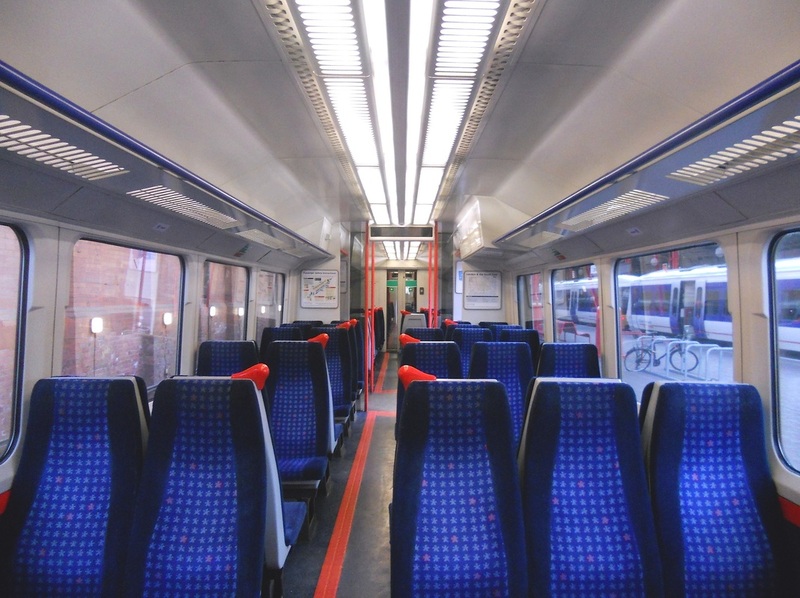 The interior of the refurbished saloon. (c) Peter Skuce. The interior of refurbished saloon, showing the wheelchair parking place. (c) Peter Skuce. 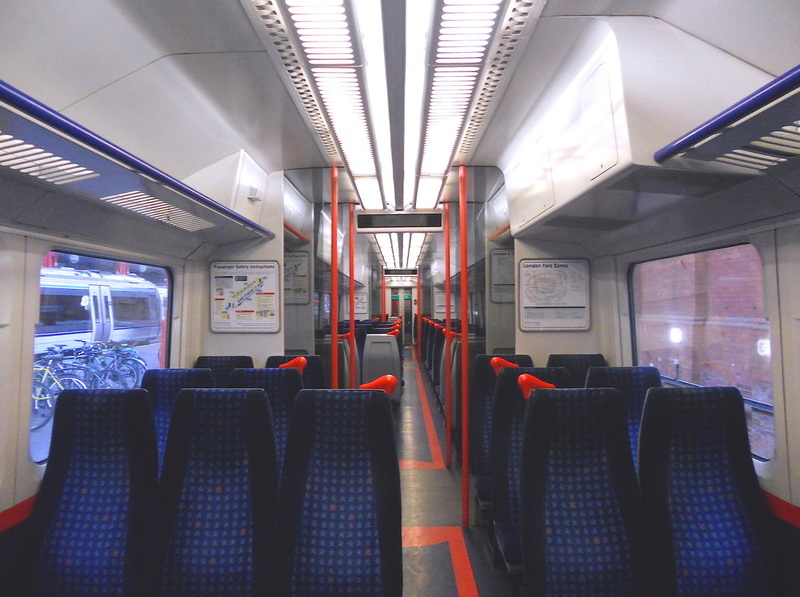 Refurbished Class 165/0 No. 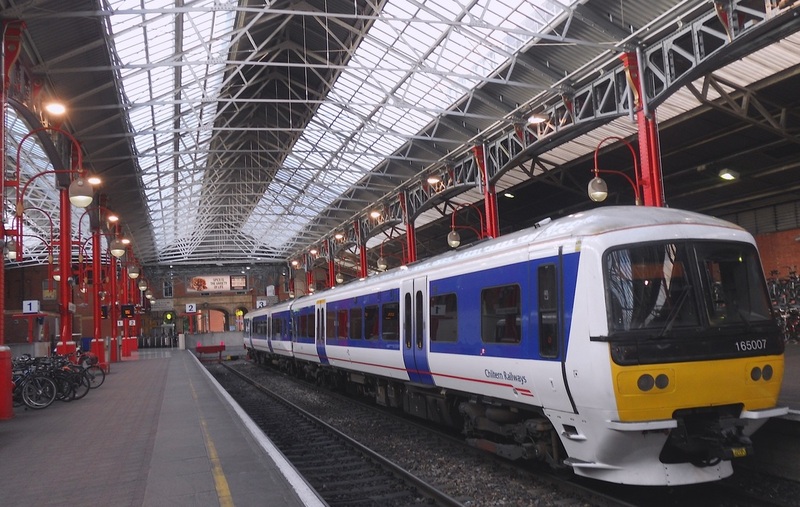 165014 at London Marylebone. (c) Peter Skuce. 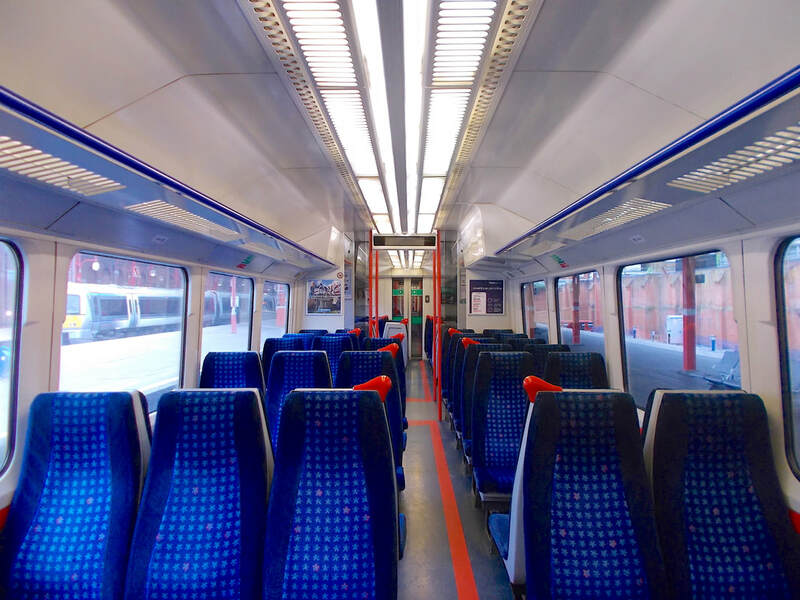 Refurbished Class 165/0 No. 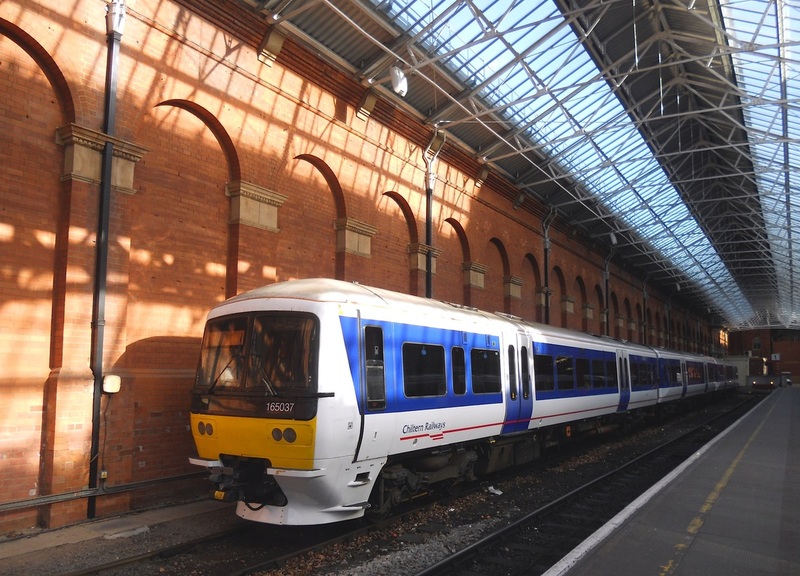 165032 at London Marylebone. (c) Peter Skuce. A half internal view of refurbished Standard Class accommodation aboard MSO vehicle. (c) Peter Skuce. The interior of refurbished Standard Class accommodation aboard MSO vehicle. (c) Peter Skuce. Recently mechanically overhauled Class 165/0 No. 165034 at London Marylebone. (c) Peter Skuce. Class 165/0 No. 165037 at London Marylebone. (c) Peter Skuce. 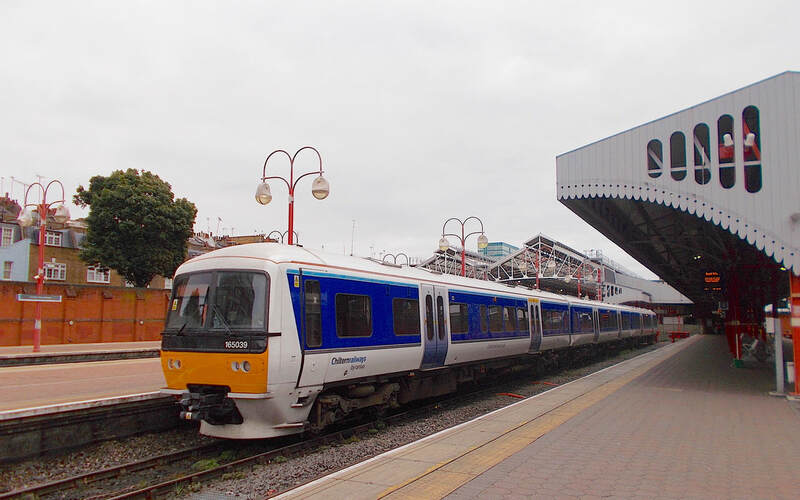 A pair of Class 165, No. 165017 and No. 165018 at Aylesbury. (c) Peter Skuce. Class 165 No. 16016 at Aylesbury Vale Parkway. (c) Peter Skuce. Refurbished Class 165/0 No. 165039 at London Marylebone. (c) Peter Skuce. The interior of the DMSO vehicle, showing the location of the wheelchair parking place. (c) Peter Skuce. 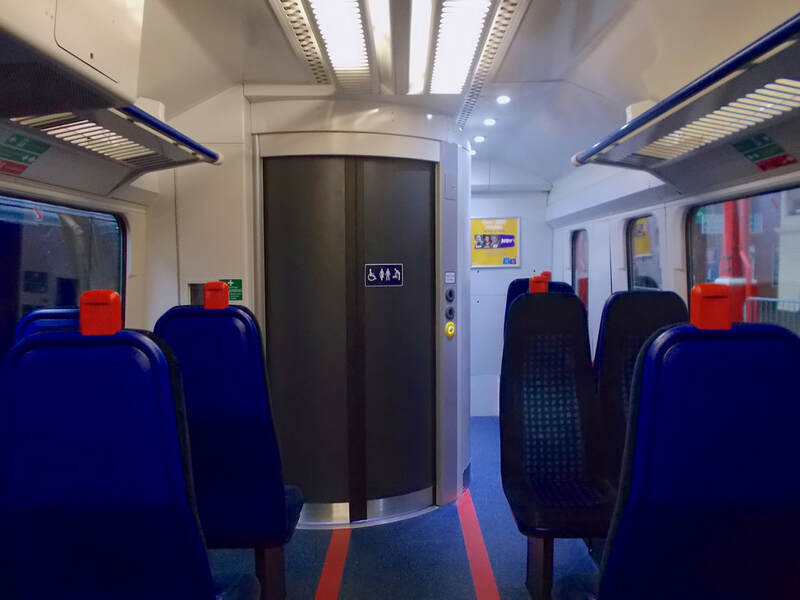 The location of the universal accessible toilet aboard the DMSO vehicle. (c) Peter Skuce. 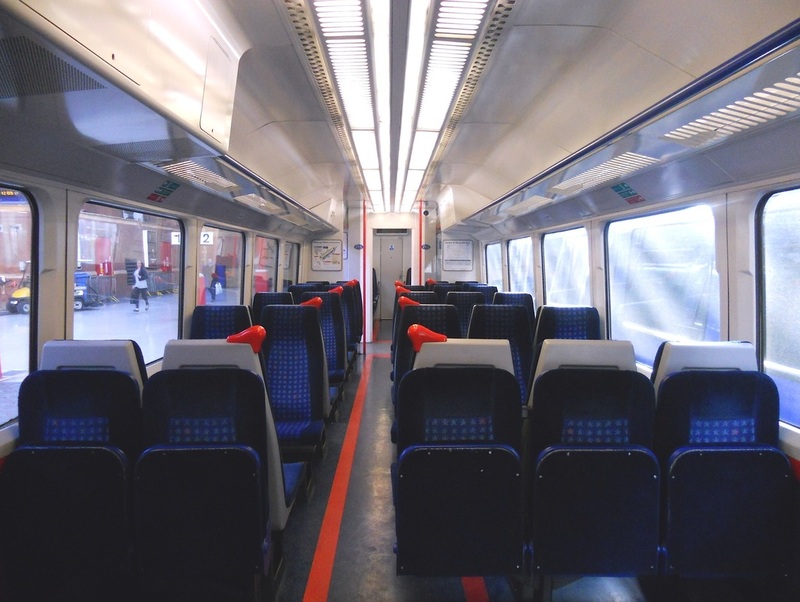 The interior of the MSO vehicle, showing the slight alteration to the seating layout. (c) Peter Skuce. 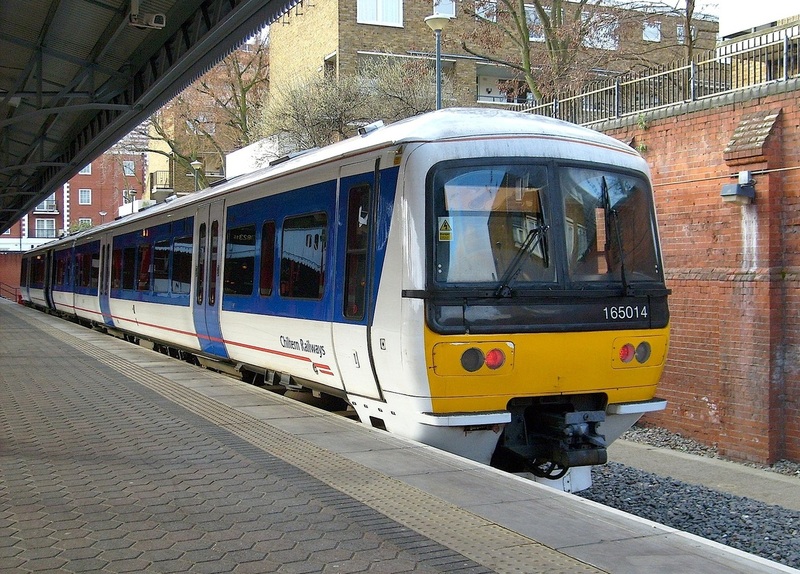 and eleven 3 carriage Class 165/0 Chiltern Turbo DMU trains (165029 - 165039). 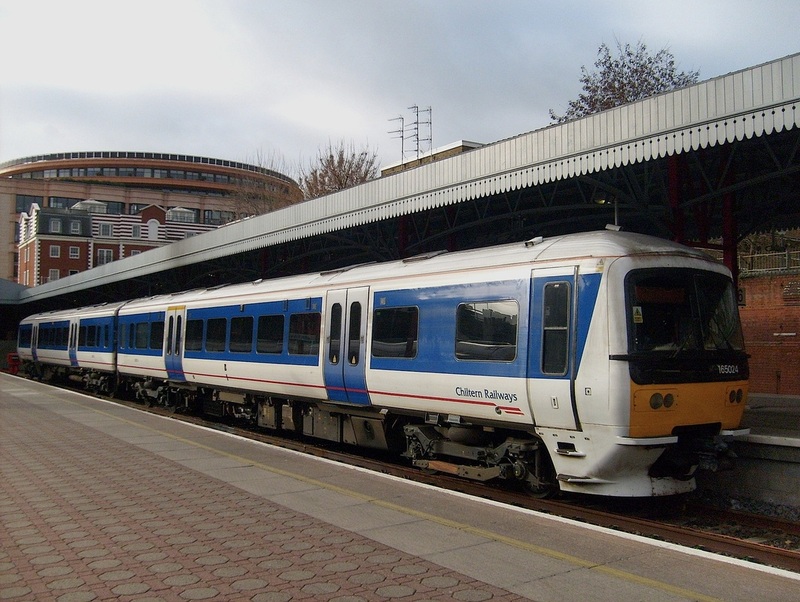 There is a total of thirty nine Class 165/0 Chiltern Turbo DMU trains. 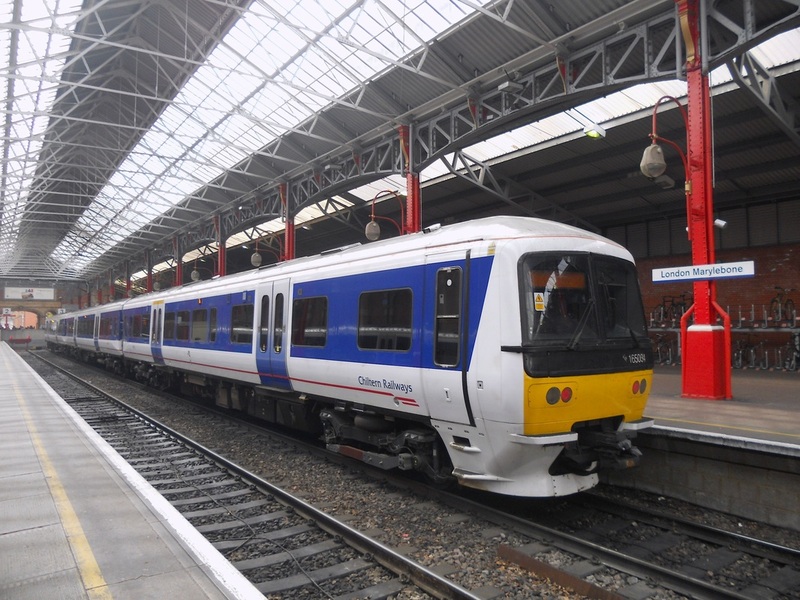 They were built by BREL York in 1990.
trial prototype demonstrator - however this has since been altered to match the production refurbished units. 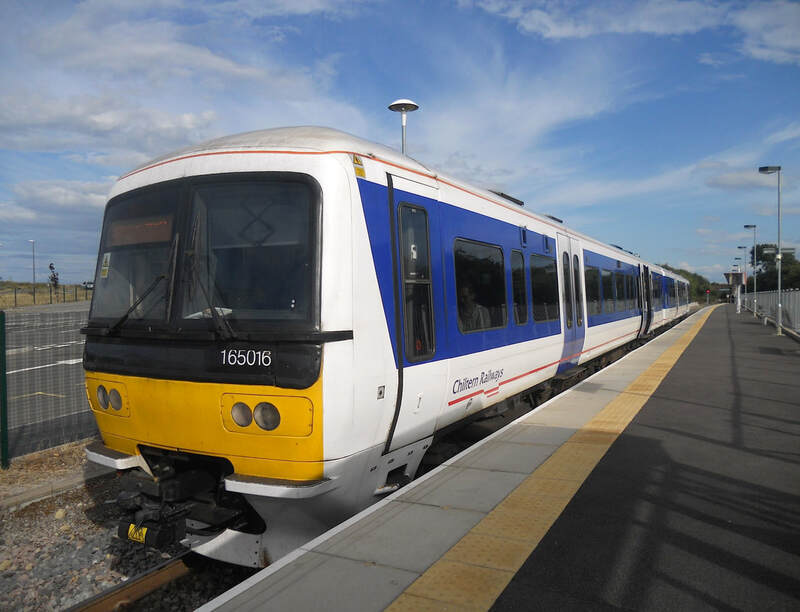 Each Class 165 DMU train is powered by one Perkins 2006TWH per each vehicle.